The Fitness USA is the one the largest privately owned and managed fitness centers, which operates many fitness centers across the world. Now, the company owns more than four hundred clubs and it also employs about 18000 employees in the centers scattered in the United States. The company develops and offers different exercise, weight loss, and many weight management programs for different individuals. 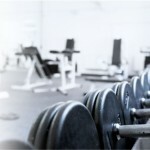 It also appoints personal trainers, who help in designing workout plans that balance stretching, strength-exercise, and strength training, It also offer free tail membership plan and all the centers of the company are equipped with different amenities, which include sauna, swimming pool, steam room, etc. There are currently 3 consumer reviews about Fitness USA available. Share your review. The Dearborn, MI location is a joke. Staff allows unruly children in the facility. There is eating in the pool and Arizona room, oils and lotions allowed int the sauna and heat room. Employees don't take action when you ask them to handle a situation. Children in pool with floats splashing members. Parents swearing at you when you try to correct the children and ask them not to splash. Needs a lot of TLC. It's just sad the state this facility has fallen into. If I were a first time visitor there is no way I would buy a membership for this gym. Very disappointed! Fitness can be good,if only they would keep up with it.The Owner is an attorney so you can guess how much of a louse he certainly is.(W. F. H) All the closings of centers, and changes they keep coming up with, like making one facility in South Bend, Indiana only available to women? Men who went there on a regular basis have a lifetime membership too! The corporate staff of Fitness USA need to get some professional training,and not charge members or promise them for what they were told would be available for them and only two months later is no longer. I have tried a few other gyms in my neighborhood but nothing comes close to the equipment this gym has. Would like to thank the corporate staff of Fitness USA for the great service! Please take a note that you are about to post a public review about Fitness USA corporate office on CorporateOffice.com. This review will be public, so please do not post any of your personal information on this website. If you would like to contact the corporate offices of Fitness USA, please use their contact information such as their phone number, website, and address listed above to contact them. However, sometimes staff from Fitness USA headquarters do read the reviews on this website.